Prayer pattern Caucasian design afghan rug handmade in 100% wool. Very rare pattern and can also be used as a wall-hanging. - Beautiful prayer pattern rug with bold motifs and unique faded colors. 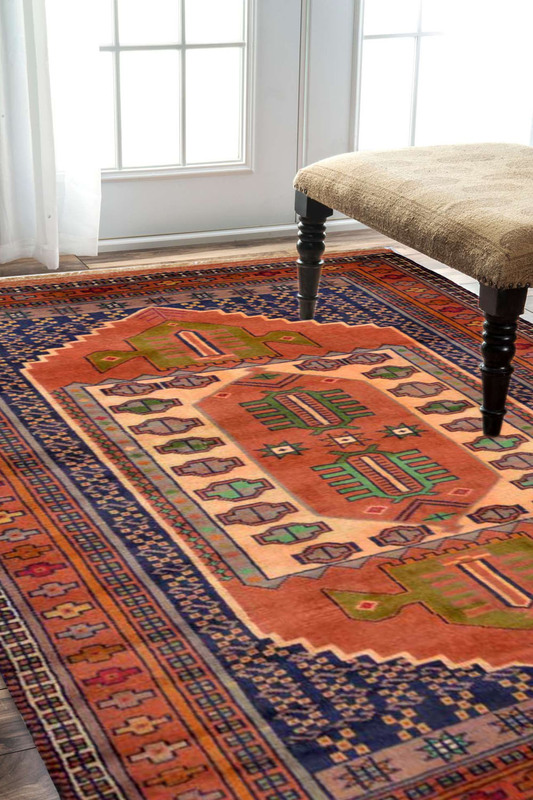 - This particular rug is indicative of nomadic life in late 19th century. - The design has been originated from Baluch heritage. - You can also be used as a wall hanging.